The International Church of Christ (also known as the Boston Movement or ICOC; their churches often describe themselves as “church of Christ” without any further designation) began in June 1979 near Boston, Massachusetts, with a Bible study of a few people led by one Kip McKean. McKean had come under the influence of the “Crossroads Movement” in the 1970s at the Crossroads Church of Christ in Gainesville, Florida. The “Crossroads Movement” placed a strong emphasis on the need to “disciple” Christians, especially the new converts, in order to strengthen them and to keep them faithful. McKean believed this principle and then added many of his own tenets. As the Crossroads Movement faded in the 1980s, McKean’s new Boston Movement picked up momentum, adding many to its numbers from the old Crossroads movement along with others from denominations and some from churches of Christ. As the 1980s and 1990s progressed, however, McKean’s doctrines began to distance themselves from Scripture, adopting a “speak where the Bible is silent and be silent where the Bible speaks” mentality and building an elaborate hierarchical structure within the church. The International Churches of Christ endured great crisis in 2002 and 2003 (called by some within the movement the “Great Tribulation”), when the central leadership structure of the organization was dissolved, McKean and other top leaders found themselves compelled to resign and disassociated from by other ICOC groups, and the renunciation of two of the main ICOC principles: the hierarchical structure and emphasis on discipling. At that point, many of the different churches comprising the International Church of Christ began to hold meetings designed for reconciliation with “mainline” churches of Christ, while many others remained in a form of suspended animation. The events of the past few years have left many International Churches of Christ as quasi-autonomous groups operating according to some of the originating principles of the movement while having repented of some of the more controversial doctrines associated with the Boston Movement. While Kip McKean laid low for awhile, he began working with the Portland International Church of Christ, and in October 2005 earnestly began what he now calls the Portland Movement. The Portland Movement is really the Boston Movement with slight adaptations, desiring to be a “restoration movement” within the ICOC churches; McKean and his associates are still drawing in people and some of the ICOC churches have realigned with him. It would seem that churches in the Portland Movement either go by “International Church of Christ” or “International Christian Church” (ICC)1. 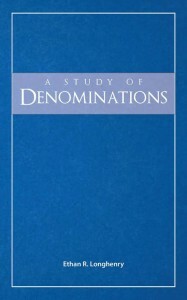 While it was impossible to speak of variants within the International Church of Christ before 2002, the events of 2002-2003 led to great fragmentation within the movement. As a result of the movement away from Kip McKean, many International Churches of Christ either assimilated with or began to be influenced by “mainline” churches of Christ, and in such groups the distinctive ICOC doctrines have been set aside. While willing to be more accommodative to churches of Christ and other groups, many other International Churches of Christ have continued as distinct entities. The churches remain quasi-autonomous, but the regional divisions seem to remain and the larger metropolitan churches have great influence in those regions. It should be noted that according to McKean, the ICOC as it existed before 2002 was no more after the period of “tribulation” in 2002-20032. There are also the churches now associated with the Portland Movement, those recently started by McKean and his associates or groups of former ICOC groups that have re-aligned with him. These represent the neo-Boston Movement groups, committed to the same principles as before with only cosmetic changes. The International Church of Christ (heretofore referred to as “ICOC”) maintains in its teachings that one must be a disciple of Christ, to the extent that one cannot be baptized before he or she decides to be a disciple3. The Portland Movement further teaches that one who converts to the faith needs to be “discipled,” following supposedly after Matthew 28:19-20, and thus is paired with a “discipler,” one who is in charge of the well-being of the new convert4. “Discipling” is maintained as a practice in other ICOC groups, although it is no longer made mandatory. Are these principles truly taught in the Scriptures? They then that received his word were baptized: and there were added unto them in that day about three thousand souls. And they continued stedfastly in the apostles’ teaching and fellowship, in the breaking of bread and the prayers. Therefore, they can be rightly called disciples of Christ and of the Apostles, yet this action is performed after their initial belief and baptism. This is consistent with Jesus’ charge in Matthew 28:18-20: indeed, the Apostles were to “go” and “make disciples”, but the vehicle of making disciples was to “baptize them” and to “teach them to observe all that [He] had commanded [them].” There is no evidence from the Scriptures that would lead to the conclusion that one must specifically decide to be a disciple before they are baptized: one can only become a disciple by being baptized and being taught the way of Christ. From this passage, it appears that Christians were first called simply “disciples,” and the name of Christian was added to them later. Therefore, we can read the commandment of Jesus very simply as “Go therefore and make Christians of all the nations…” The Scriptures teach that one is made a Christian by believing in Christ and obeying His Word; this can be performed without a “discipler.” The specific need for “discipling” is not necessarily present in Matthew 28:19-20. Brethren, even if a man be overtaken in any trespass, ye who are spiritual, restore such a one in a spirit of gentleness; looking to thyself, lest thou also be tempted. Bear ye one another’s burdens, and so fulfil the law of Christ. We are all to “bear one another’s burdens;” the task is not limited to, nor is it supposed to be limited to, one individual. For I say, through the grace that was given me, to every man that is among you, not to think of himself more highly than he ought to think; but to think as to think soberly, according as God hath dealt to each man a measure of faith. For even as we have many members in one body, and all the members have not the same office: so we, who are many, are one body in Christ, and severally members one of another. And having gifts differing according to the grace that was given to us, whether prophecy, let us prophesy according to the proportion of our faith; or ministry, let us give ourselves to our ministry; or he that teacheth, to his teaching; or he that exhorteth, to his exhorting: he that giveth, let him do it with liberality; he that ruleth, with diligence; he that showeth mercy, with cheerfulness. There is an equality of all members in Christianity that the idea of “discipling” violates. We are all equal in Christ; nowhere is any Christian in any way superior to another. The only difference between Christians is of different roles. An elder oversees the congregation; this does not in and of itself mean that the elder is superior to any other Christian. The evangelist brings the word of God to the congregation and the outside world; this does not mean the evangelist is a better Christian than any other member of the congregation. In Christianity, there is a communion of believers assisting each other, thus eliminating the need for one specific individual to watch over another specific individual, a relationship not authorized in the Scriptures. Therefore, the process of growth of an individual in the faith is not dependent on having another individual watch over him, but instead requires the assistance of the whole congregation in building up and strengthening not only the young members and the converts but everyone within that body. The practice of discipling, therefore, is not in accordance with the Scriptures. The ICOC taught, and the Portland Movement maintains, that sin must be confessed often, especially in a system of what is deemed “prayer buddies,” two individuals who confess their sins to each other5. This is also done with the discipler. Furthermore, many times the ICOC published and circulated to its members lists of individuals and the sins they have confessed, so people can pray for them. Are these practices based in the New Testament? Is any among you sick? Let him call for the elders of the church; and let them pray over him, anointing him with oil in the name of the Lord: and the prayer of faith shall save him that is sick, and the Lord shall raise him up; and if he have committed sins, it shall be forgiven him. James is therefore making a commandment to those who are sick, that he or she confess their sins so that they may be forgiven, and that this may lead to healing. This passage by no means binds the confession of sins to one another as required. We can see that it is beneficial to confess our sins to one another, that we may receive assistance and prayer, so that we may be built up. We further see that sins that are committed that come to the attention of the church ought to be confessed and repented of, and this is illustrated further in 1 Corinthians 5:1-13. Therefore, the Scriptures teach that we must confess our sins to God, and we may confess our sins to each other in order to receive edification. 3: Kip McKean, Revolution Through Restoration, I. 5: Kip McKean, First Principles. Many have been said about the ICOC. Thank God, we have his grace helping us to change when we see the truth. I am one of the disciples of Christ (International church of Christ in Conakry-Guinea). Please can you tell me what do you understand in this ” to “decide to be a disciple”? Act 2: 40-41 And with many other words did he testify and exhort, saying, Save yourselves from this untoward generation. Then they that gladly received his word were baptized: and the same day there were added unto them about three thousand souls. SO TO DECIDE TO BE A DISCIPLE SIMPLY MEAN TO RECEIVE THE WORD OF CHRIST AND DECIDE TO FOLLOW HIM. IT IS THOSE WHO UNDERSTAND THE NEED TO FOLLOW CHRIST THAT TAKE THE DECISION TO BE HIS DISCIPLES. CAN ONE BE SAVED WITHOUT HAVING THE DESIRE TO BE DISCIPLE OF CHRIST? DID JESUS CHRIST TEACH TO BAPTISE PEOPLE FIRST AND THEN ASK THEM IF THEY ARE WILLING TO BE HIS DISCIPLES. THE PEOPLE WHO HEAR THE WORD AND REJECT IT CAN’T MAKE THE DECISION TO BE A DISCIPLE OF CHRIST. John 5:39-40 Search the Scriptures; for in them ye think ye have eternal life: and they are they which testify of me. And ye will not come to me, that ye might have life. I’ve been a disciple for The last 10years. From my vantage point, I would like The writer to search the scriptures carefully. Most of The things you’ve written are Half truths. As human beings we have weaknesses but our God is perfect. i’d urge you to be an ambassader of Christ and cease from advancing satans course. when se evangelize, we invite people to Christ. Our church Will not take anyone to heaven ; Jesus Christ Will . I have seen and witnessed all things that have been written above. I hope and pray that you will see what that particular organization is about and instead find people who truly seek to advance Jesus’ purposes.